Ryan “CLAIMS” his car ‘runs linux’, but I am thinking he means that his car ‘boots’ linux. I refuse to believe these outrageous claims until I see a logo of some sort that Ryan has produced ACTUALLY USING this ‘linux’ on his car. That’s right. I’m calling ‘bogus’ on this, until Ryan offers proof-positive that his car RUNS linux by producing something with inkscape or gimp USING HIS CAR. Seriously, though. Thank you for the show each week! 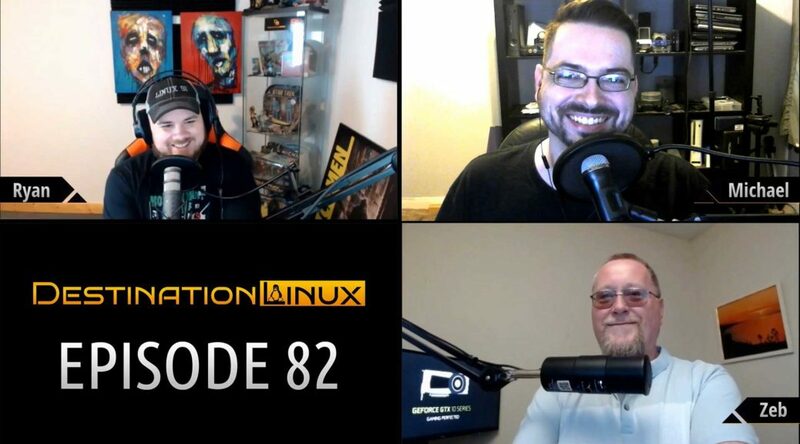 I don’t miss an episode, and, like Ryan, I also work telecom… It’s a welcome relief to hear the friendly linux-centric banter while I go about my I&R (install and repair) business day. PS: I’m not sure if Michael knew this, but KDE is SO customizable, I’ve even found an option that you can ‘like it’ or ‘not like it’ in the settings!!! I would like to thank each and every one of you for listening and watching every week. It has been some of the best times doing this show with Ryan, Zeb and Michael. 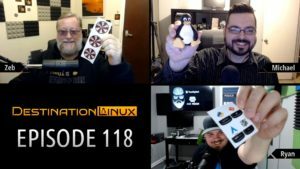 Destination Linux is going to continue. But the format naturally has to change as Rocco handled many critical tasks of the show specific to editing. During this transition period we’re going to have to do some testing and maneuvering with the show format and how we bring the content to you each week. Our primary focus will continue to be the podcast itself and making sure we’re keeping the patrons and our audience informed.